For other people named Harry Hooper, see Harry Hooper (disambiguation). Harry Bartholomew Hooper (August 24, 1887 – December 18, 1974) was a Major League Baseball (MLB) right fielder in the early 20th century. Hooper batted left-handed and threw right-handed. Hooper was born in Bell Station, California, and he graduated from St. Mary's College of California. He played for major league teams between 1909 and 1925, spending most of that time with the Boston Red Sox and finishing his career with the Chicago White Sox. Hooper was often known for his defensive skills and he was among the league leaders in defensive categories such as putouts by a right fielder. During several seasons with Boston, he teamed up with Duffy Lewis and Tris Speaker to form one of the best outfield trios in baseball history. Hooper is also one of only two members of 4 separate Red Sox World Series championships (1912, 1915, 1916, 1918). He was elected to the Baseball Hall of Fame in 1971. Hooper was born on August 24, 1887 in Bell Station, California. His family had migrated to California as many other families from the United States due to the California Gold Rush. His father, Joseph "Joe" Hooper, was born in Morrell, Prince Edward Island in Canada. Joe was the fourth child and second boy born to English-born William Hooper, Harry's grandfather, and his Portuguese wife Louisa. Harry was the youngest child in his family of four, having an older sister named Lulu and older twin brothers named George and Charlie. Hooper's mother, Mary Katherine (Keller), was from Frankfurt, Germany. Hooper's two older brothers had been forced to quit school early to work on the family farm, but Hooper showed an affinity for school, especially in math. One of Hooper's teachers helped to convince his parents to allow Hooper to attend a high school in Oakland. After graduating from the high school affiliated with Saint Mary's College of California, Hooper graduated from college there with an engineering degree. While he had not been a great student at Saint Mary's, he had been excited about playing college baseball there. Hooper had been a pitcher when he signed with the Oakland Commuters in 1907 to begin his minor league career, but he converted to a position player role. In 41 games with Oakland, he hit for a .301 batting average in 156 at bats. He spent the next year with the Sacramento Senators, hitting .344 in 77 games. His contract with Sacramento also provided him with work as a railroad surveyor when he was not playing baseball. Hooper did not know it at first, but his manager in Sacramento, Charles Graham, was a scout for the Boston Red Sox. Graham helped to arrange a meeting between Hooper and Red Sox owner John I. Taylor. Hooper was signed to a $2,800 contract with Boston. 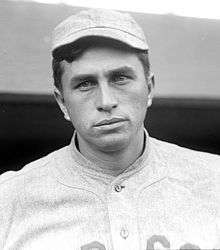 Breaking into the majors with the Red Sox in 1909, Hooper played in 81 games for the team and hit .282. He became known as a top-caliber defensive right fielder and a solid leadoff hitter. Between 1910 and 1915, he teamed with Tris Speaker (CF) and Duffy Lewis (LF) to form one of the finest outfield trios in baseball history. Hooper and Speaker became friends. Though he was a hard competitor on the field, Hooper became known for his likable personality and sense of humor, which contrasted with Speaker's tough exterior. In 1910 Hooper played 155 games and hit .267 in a league-leading 688 plate appearances, marking the first of eleven consecutive seasons where he had at least 564 plate appearances. He led all AL outfielders with 30 assists that season, but he also committed a league-high 18 errors. In 130 games the next year, Hooper hit .311; the outfield trio of Hooper, Lewis and Speaker hit .315 combined. Hooper's batting average dropped to .242 in 1912. Boston won the 1912 World Series, during which Hooper made a catch that The Pittsburgh Press referred to as one of the finest plays in baseball history. The paper noted that Hooper "does not seek the limelight. He is reserved and bashful, and every action of his upon the baseball field plainly shows these qualities." On May 30, 1913 Hooper became the first player to hit a home run to lead off both games of a doubleheader, a mark only matched by Rickey Henderson and Brady Anderson over 80 years later. In 1914, he recorded 230 putouts in right field, which was the first of several seasons in which he finished in the top three in that category among right fielders. On October 13, 1915, in game five of the 1915 World Series, he became the second player to hit two home runs in a single World Series game. Duffy contributed a third home run as the Red Sox won another world championship four games to one. Hooper was also the captain of the Red Sox in 1919. Hooper became known for talking Boston manager Ed Barrow into converting Babe Ruth from a pitcher to an outfielder. Before the 1921 season, the media questioned whether Hooper would re-sign with the Red Sox for the coming season, saying that Hooper may have been disappointed not to be given an opportunity at manager. He was traded to the Chicago White Sox in March 1921 in exchange for Shano Collins and Nemo Leibold. Newspaper accounts said that Hooper had not been warned about the trade, that he would demand a higher salary from the White Sox and that he was prepared not to play unless the team met his demands. Hooper had some of his best offensive production with the White Sox. He hit over .300 in three out of the five seasons he spent with the team and he hit a career-high 11 home runs and 80 runs batted in during the 1922 season. In 1922 and again in 1924, Hooper was involved in eight double plays, both of which led the league for outfielders. In 1925, Hooper asked for his release from Chicago so that he could pursue a position as a manager. Hooper was a career .281 hitter with 75 home runs, 817 RBI, 1429 runs, 2466 hits, 389 doubles, 160 triples, and 375 stolen bases in 2309 games. He holds the Red Sox franchise records for most triples (130) and stolen bases (300), as well as Fenway Park records for triples (63) and stolen bases(107). Harry Hooper was selected to the Baseball Hall of Fame in 1971. Hooper is only one of two players (Heinie Wagner being the other) to be a part of four Red Sox World Series championships. Following his retirement from baseball, Hooper moved to Capitola, California. He was named player-manager for San Francisco's minor league team in the Pacific Coast League in 1927. He was appointed postmaster in Capitola in 1933. He held that position for 24 years. In 1939 he agreed to coach Boston's professional indoor baseball league team. He remained active in later life, enjoying hunting, fishing and following the San Francisco Giants and the Red Sox. Hooper died in Santa Cruz, California, at the age of 87. His son, Harry Hooper, Jr., said that Hooper had died of old age. He said that Hooper was the oldest living member of the Hall of Fame before his death. The television series The Simpsons made reference to Hooper in the episode "Homer at the Bat", where Mr Burns has Hooper as playing center field for his company's all-star softball team. His assistant Smithers has to point out that all the players Mr. Burns had selected are long dead. 1 2 Zingg, p. 13. 1 2 3 "The Hall of Famers: Harry Hooper". National Baseball Hall of Fame. Archived from the original on October 4, 2007. Retrieved 2008-07-13. 1 2 3 Johnson, Jim. "Heroes and Villains: Santa Cruz County Produced Baseball Stars and Baseball Scandals". Santa Cruz Public Library. Retrieved November 8, 2014. ↑ "Harry Hooper has been with Red Sox ten years". The Pittsburgh Press. August 27, 1918. Retrieved November 8, 2014. ↑ "Harry Hooper Minor League Statistics & History". Baseball-Reference.com. Retrieved November 8, 2014. 1 2 3 4 5 6 "Harry Hooper Statistics". Baseball-Reference.com. Retrieved 2008-07-13. ↑ Grayson, Harry (April 10, 1943). "Redsox outfield combination was finest in baseball". The Pittsburgh Press. Retrieved November 8, 2014. ↑ Moshier, Jeff (June 9, 1943). "Playing square". Evening Independent. Retrieved November 9, 2014. ↑ "Harry Hooper was real Redsox hero". The Pittsburgh Press. December 13, 1912. Retrieved November 8, 2014. ↑ Spatz, Lyle (2007). TheSABR Baseball List & Record Book – Baseball's Most Fascinating Records and Unusual Statistics. United States: Simon & Schuster. p. 496. ISBN 9781416532453. ↑ "Harry Hooper's big bat won the honors for Boston". Toronto World. October 14, 1915. Retrieved November 8, 2014. ↑ "Two Homers Hit Thrice". October 12, 1923. New York Times. 12. ↑ "Harry Hooper dies at 87". Reading Eagle. December 18, 1974. Retrieved November 8, 2014. ↑ "Red Sox may lose Hooper". The Pittsburgh Press. February 28, 1921. Retrieved November 8, 2014. ↑ "Harry Hooper traded to Chisox for Shono Collins and Harry Liebold". Lewiston Daily Sun. March 5, 1921. Retrieved November 8, 2014. ↑ "Harry Hooper may quit game". St. Petersburg Times. March 8, 1921. Retrieved November 8, 2014. ↑ "Harry Hooper seeks release". The Milwaukee Journal. October 14, 1925. Retrieved November 8, 2014. ↑ "Harry Hooper". ESPN.com. Retrieved 2008-07-13. ↑ "Harry Hooper elected manager San Francisco club in Pacific League". Lewiston Daily Sun. May 2, 1927. Retrieved November 8, 2014. ↑ "Harry Hooper named postmaster by Farley". Reading Eagle. July 18, 1933. Retrieved November 8, 2014. ↑ "Harry Hooper will pilot Boston's pro indoor baseball team". Lewiston Daily Sun. Retrieved November 8, 2014. 1 2 "Ex-red Sox Harry Hooper dies; oldest Hall Of Famer". The Spokesman-Review. December 19, 1974. Retrieved November 8, 2014. Zingg, Paul (1993). Harry Hooper: An American Baseball Life. Champaign, Illinois: University of Illinois Press. ISBN 0-252-07170-0. Gay, Timothy (2007). Tris Speaker: The Rough-and-Tumble Life of a Baseball Legend. Globe Pequot. ISBN 1-59921-111-4. Ruth, Babe (1992). Babe Ruth's Own Book of Baseball. University of Nebraska Press. ISBN 0803289391.